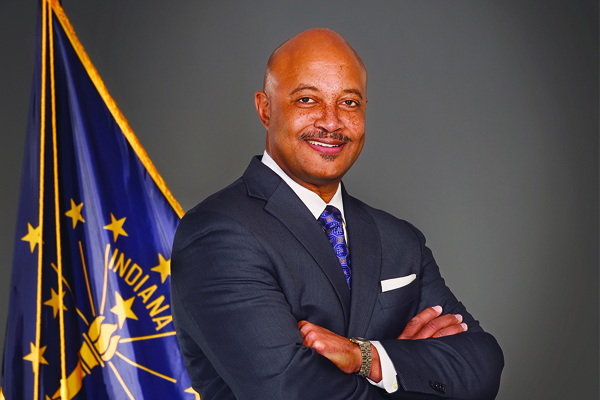 Indiana Attorney General Curtis Hill’s political career is over. I write this on Thursday evening, almost exactly three days after the shocking Indianapolis Star story broke about Hill groping four women back in March. Now the number of days left in his once optimistic political future is almost certainly zero. There is no way for him to recover from the allegations that have been made. Many have spent more time since Monday researching the Indiana Code and the Indiana Constitution on what the process is for impeaching and replacing him than pouring over Hill’s shallow public defense. My research leads me to pretty simple conclusions: impeaching him without a criminal charge will be difficult; replacing him after he’s gone won’t be at all. All that aside for a moment, what happened in the early hours of March 15 at AJ’s Lounge here in Indianapolis is intolerable. What has been described in victims’ accounts is criminal in my opinion. This situation should be more about the victims than the manner in which this political career ends. And it is disappointing that the handling of this since Monday has seemed to lose sight of the compass that victims provide in incidents like this. The talk of the “leak” of the memo to the media seems wrapped up in the politics of the matter more than the personnel aspect of it. These four women reported the incident to their employer, the State of Indiana, and have a reasonable expectation that it would be handled as any other sensitive personnel matter should be. The leak of the information about what happened is a second violation against them. Political consequences of it should be an afterthought. If these women wanted to go public with their stories, they could have actively made that choice. They didn’t. And that’s where our top concern should be focused right now. The State did not adequately protect them in the process. We will be able to address that as a state after Hill resigns. Not “if” he resigns, but after he resigns. Tim Swarens, opinion editor of the Star, tweeted on July 3: “I don’t see how Indiana AG Curtis Hill can credibly do the job he was elected to do…” The Fort Wayne Journal Gazette published an editorial calling for his resignation on July 5th. Suzette Hackney of the Star wrote a column even more pointed at the lack of trust she has in the investigation by leaders of the General Assembly. She has experience with this kind of nonsense from an elected official. We should be listening to her, and every victim, closely. These victims chose the administrative path and we need to respect their choice. With Hill digging in and claiming he is staying put, coupled with the rather difficult process that may lie ahead for his potential removal, the victims may very well change course. Discussion of the “leak” only matters to the extent the victims say it does. The politicians’ priority should be synonymous with theirs. Period. The investigative report prepared by Taft, Stettinius & Hollister, LLP reads like many others detailing sexual harassment and assault. We have read many of them in many platforms now, especially since the Me Too movement (#MeToo) went viral last October. It’s a sadly familiar story of a man abusing his real and perceived power by abusing women. When the office and Hill part with one another, I expect Gov. Holcomb will proceed accordingly. Article 5, Section 18 of the Indiana Constitution says in part that “when, at any time, a vacancy shall have occurred in any other State office…the Governor shall fill such vacancy, by appointment…” That’s simple and clear enough. Governor, I think you should begin shopping for that appointee now. When things like this happen in the world of politics, it is important to watch who immediately comes to the defense of the accused. In this case, that crowd is pretty light. None that I can find are saying things like “this seems out of character” or other public endorsements of Hill. I had to call out to social media for help. Indianapolis Ten Point Coalition President, Dr. Charles Harrison is the only official I could find asking to get all of the facts before condemning him. That’s not much of an endorsement of the man, but more of a stated commitment to due process. Politics has no right to due process though. Which is the reason Hill is done. Finding a way to develop and implement a graceful exit is all that’s left for him to do.